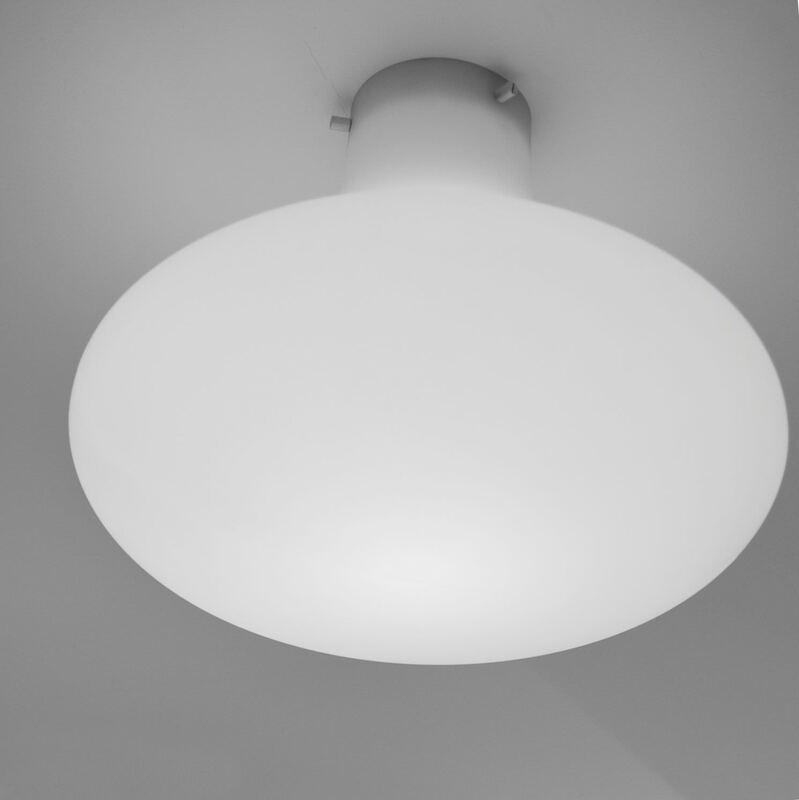 Wall/ceiling lamp for diffused light, made by rotational molding, polyethylene material. Available in three sizes. For LED bulb.